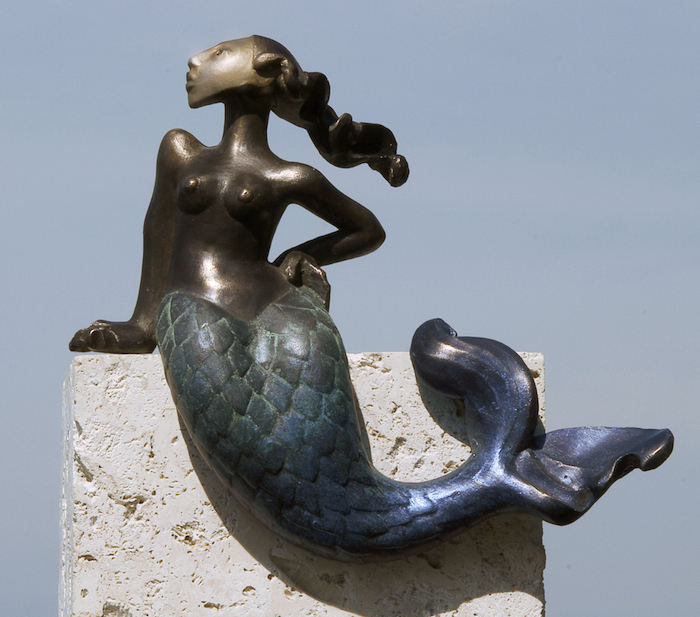 “Mermaid” by Nina Winters is a fun and lively mermaid statue with abstract lines, imbued both with abundant attitude and serene calm. Born and raised in New York City, Nina studied art at such prestigious schools as the College of Fine Art and Architecture at Cornell University, Parsons School of Design, The School of Visual Arts and Hunter Graduate School. Nina now works out of her studios in the Tampa Bay Area and her self-built house in the woods of New Hampshire. She will be featured in the upcoming issue of Art Tour International Magazine, a world-wide art publication based out of Italy. Nina has been featured in Best of American Sculpture Artists Volume III (Book), on the cover of Tampa Bay Magazine with a four page editorial, and in such publications as Blu Magazine, ON Magazine, Portland Monthly Magazine, The Nashua Telegraph, The New Hampshire Union Leader, The Flathead Beacon, Montana Woman Magazine, The Daily Interlake, The Monadnock Ledger, and was interviewed in a nationally syndicated show on WFLA-TV, on KECI NBC Montana, KDFW Fox 4 and on Peace Day TV. 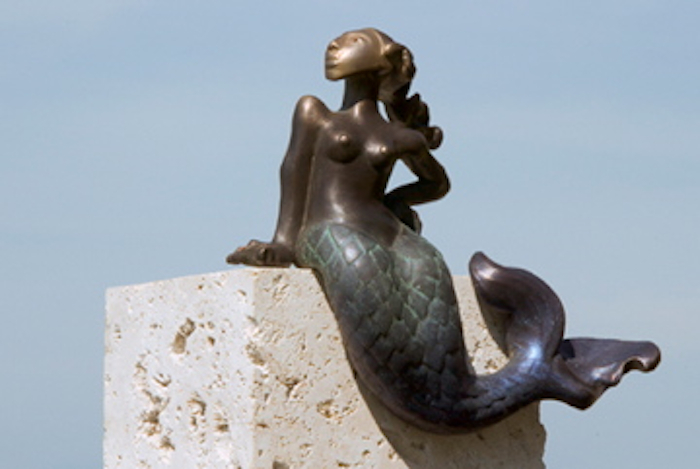 “Mermaid” was inspired by the waters of Nina’s home in Tampa Bay and by a trip she took to visit the famous mermaid statue of Hans Christian Andersen’s The Little Mermaid in Copenhagen, Denmark. 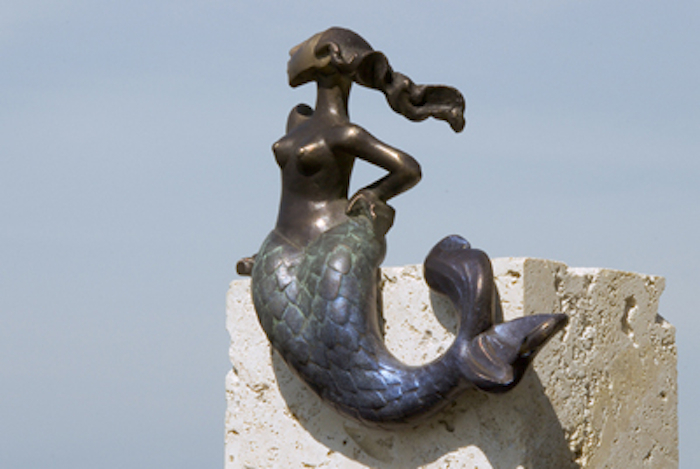 Nina’s “Mermaid” sculpture is cast in bronze and patinaed with blue-green stains and metallic waxes. It can be commissioned in any size. More data at www.ninawinters.com.